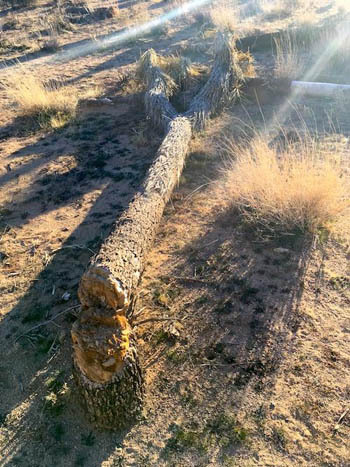 This entry was posted in Climate, Culture, Current Events, Nature, Science and tagged Beauty, Climate change, Culture, current events, Events, government shutdown, Joshua Tree National Park, Nature, Science. Bookmark the permalink. What you are describing above — a world without beauty — is the world of Orwell’s 1984. Yes, it does. You have to wonder why. There are no words to describe my distress at what elected politicians are doing, all in the name of democracy, to our world and its inhabitants—every last one of them. I am interested your reflections and discussion on beauty, and especially appreciated these lines: “James Hillman said the lack of beauty in contemporary public life is pathological. I would add that it’s part of a cluster of pathologies, that pass for sanity in minds of many of those with plenty of greed and lust for power, but no imagination.” I’ve wondered how our lives would be changed if we we allowed more space for natural beauty in our cities. The quote from Phil Ochs “the only true protest is beauty,” is inspiring. Hillman wrote a discussion on beauty that is part of an anthology. I am going to try to locate that. I am sure I’ve quoted this in other posts here, but I always remember an example Hillman gave when arguing against the exclusively inward-seeking vision of modern psychology: a man who sits in an uncomfortable chair, in a drab office, under florescent lights, doing meaningless work for eight or ten hours a day, and has no life because of it, visits a shrink – and the shrink asks what kind of relationship he had with his mother.